Item # 317385 Stash Points: 2,495 (?) This is the number of points you get in The Zumiez Stash for purchasing this item. Stash points are redeemable for exclusive rewards only available to Zumiez Stash members. To redeem your points check out the rewards catalog on thestash.zumiez.com. A great addition to your warm weather wardrobe, Artist Collective presents their Trap Depot Black Tank Top. 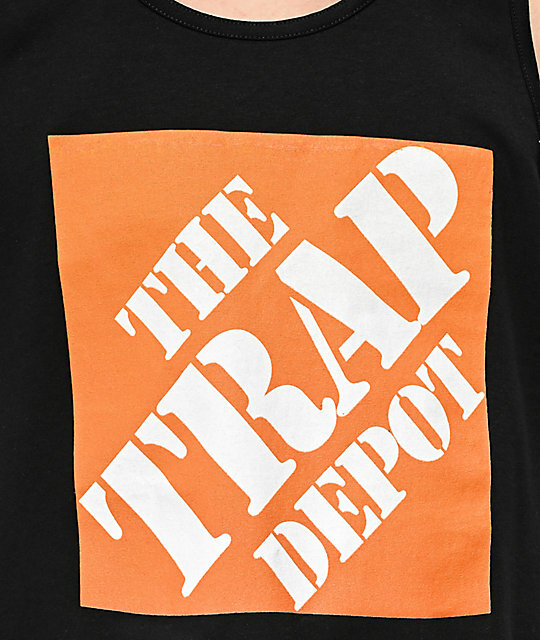 Screen-printed across the chest is a box graphic that includes the words "The Trap Depot" in bold white font, a nice contrast to the overall black colorway. 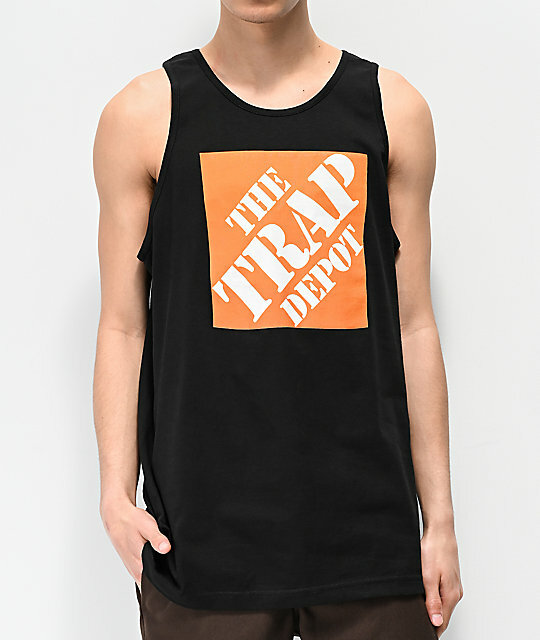 Trap Depot Black Tank Top from Artist Collective.